Avon - SMOOK Architecture & Urban Design, Inc. 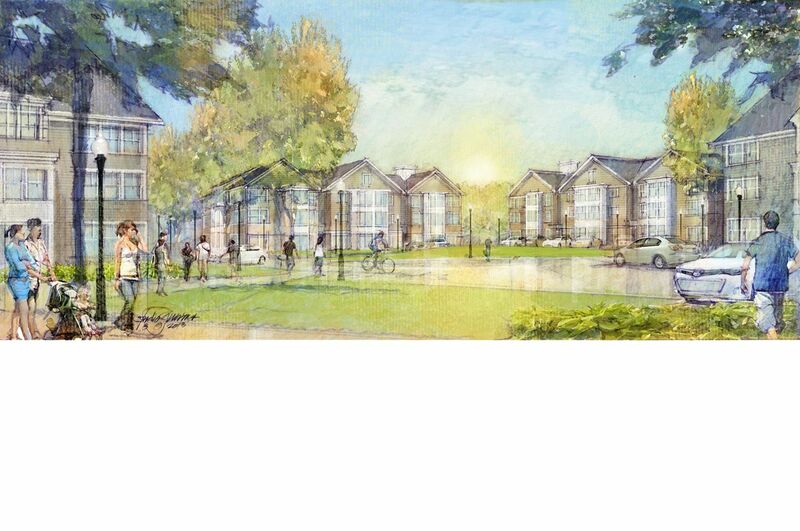 Located in Avon, CT this project with for 300 units of housing and a 6,000 SF clubhouse. The Town has already commissioned and completed a Master Development Plan for their downtown and adjacent development areas. It was important that this design speak to the issues of connectivity and historic context highlighted by that study. The parti for the project was to break the project into an area of “sub-districts” each with its own building type. The first phase called for a three-story double loaded type configuration . Each building would house ten units that would have direct garage access to a garaged parking space. A center courtyard would allow guest parking, green space and amenities for the residents of the district. Consider dividing the residential site of Avon Town Center into a series of sub-districts. Each with its own building type. For this analysis we created a three-story building type in a district on the northern portion of the site. Each of the ten units would have direct access to the garaged parking space entered from the street-side of the building. 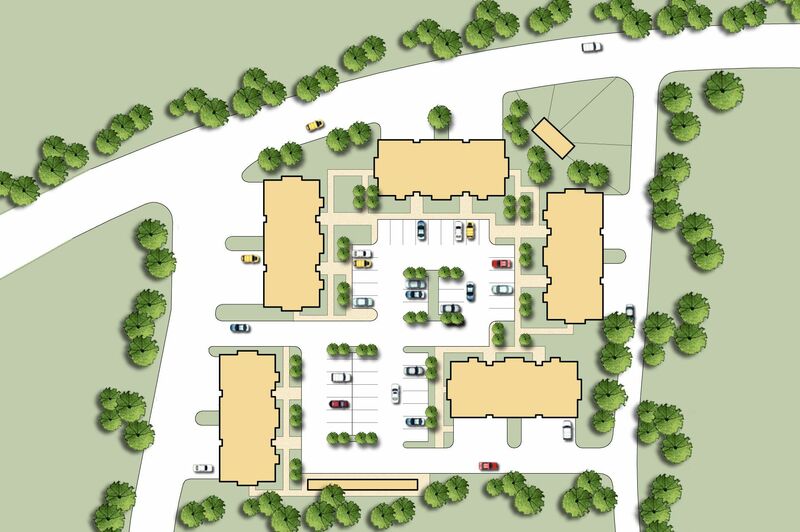 The center courtyard would allow guest parking, green space, and amenities for the residents of the district.